Congratulations to Marg Osbourne of Harley, winner of our Applefest 50/50 Draw. 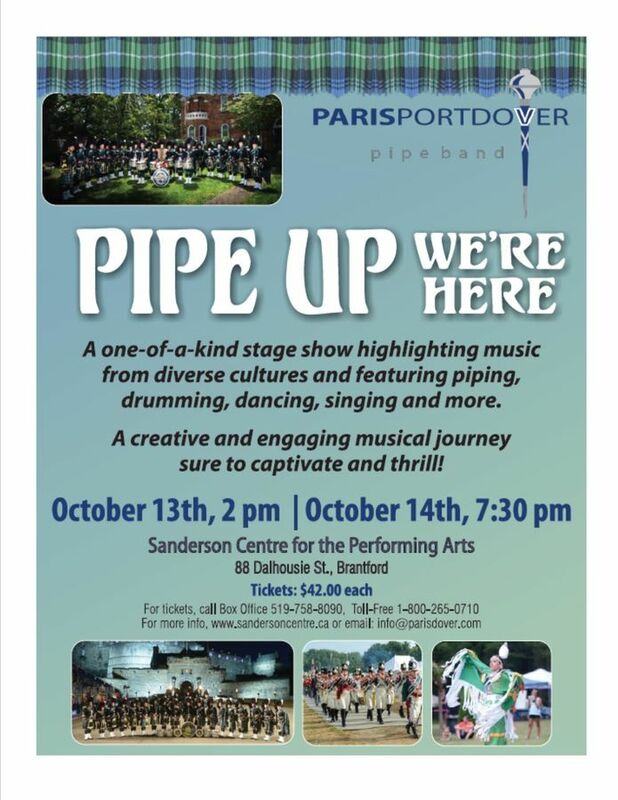 Thanks to all who supported our band fundraiser this year. 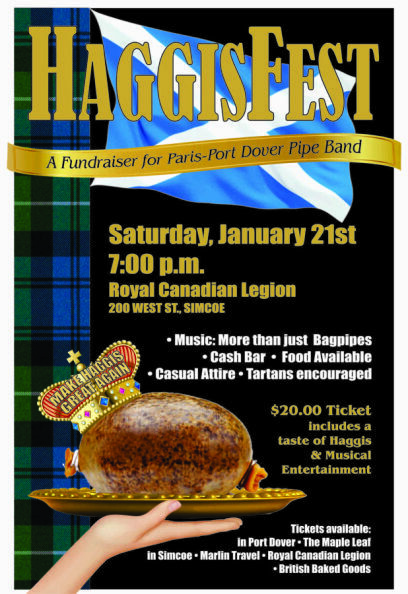 Haggisfest "make haggis great again"
A night of drums, pipes, song and good food !!! Tickets for both shows now available at The Sanderson Box Office.